When this curious Monks of Doom reunion at Club Europa in Greenpoint was announced a few months ago, I had three questions that were fortunately answered by Victor Krummenacher in a series of recent conversations. The “why here and now” was pretty simple — the Europa promoter was a big fan and made it happen. Will the Monks play again soon, or will we have to wait years for another reunion? Monks of Doom will play at the CampOut5 this year, and may even play some West Coast dates in the Summer depending upon Immy’s tour schedule with Counting Crows. And finally, how can a band who has played a half-dozen shows this decade and none in the last three-plus years sound so tight. Victor explained that the band rehearsed incessantly at its inception for thirty to forty hours a week, and established a cohesiveness that remains to this day. The performances at these two reunion shows were truly remarkable. Each show was a lengthy set with songs throughout the entire Monks catalog. We were particularly impressed with the interplay between the guitars of Immy and Greg Lisher — quite clearly evident on this recording. The setlist for each show was substantially different from the other, with night two featuring some of the more eclectic cover songs that appeared on the Monks 2006 release What’s Left For Kicks. This recording was made possible by the band and by professional audio engineer Ryan Streber. We recommend that our readers listen to this recording on headphones. Ryan’s mix has an incredible soundstage and stage-pan — as you hear Lisher on the left, Immy on the right, Victor in the center, and the outstanding drum work of Chris Pederson surrounding them all. Immy hired a multi-cam crew and multitrack audio to capture these concerts for posterity and potential release. After some confusion regarding permissions, ultimately this afternoon we received the band’s blessing to post (or re-post) the show. We have also received many inquiries about assisting in the band’s expenses for this endeavor. If you choose to donate as a result of this recording, do not donate to nyctaper (paypal on the right), but please paypal to the band at Email Monks of Doom. 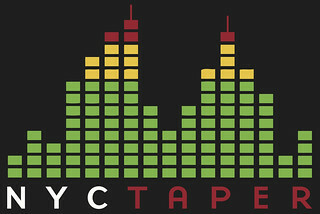 The March 12 show was also recorded by nyctaper (with the Neumanns) and will be available soon. If you email nyctaper for access to this recording, we expect that you will PLEASE SUPPORT Monks of Doom, visit their website, visit their MySpace page, and purchase their albums from their site and the Magnetic Motor Works [HERE]. Wonderful recording of an EPIC performance! Thanks so much for recording and sharing! It means the world to those of us who wanted to be there but could not. I can only assume it is of even greater significance to those who attended and will now be able to enjoy the night’s music for the rest of their lives! !